I blinked, and Elise became a young lady. We've spent this fall collecting leaves, baking cakes, and oh yes, taking ballet lessons. 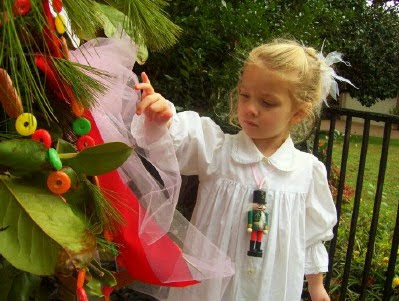 Here are some shots from her class' Nutcracker Week party. 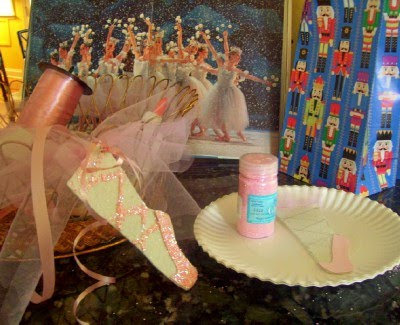 I bought a roll of tulle, gumdrops, pink glitter and a thrift store nutcracker. Everything else we borrowed from our 2 Christmas boxes. 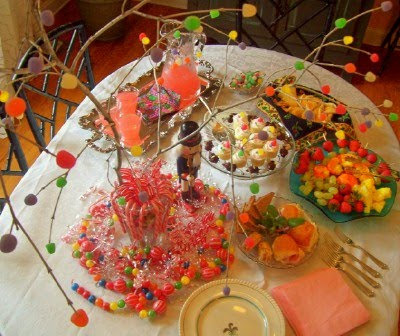 Andrew built a Sugar Plum Tree by sticking gumdrops on branches. It stretched across the whole table for only $1. 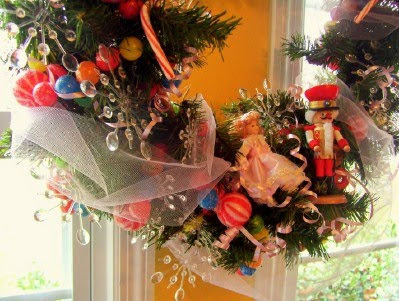 The nostalgic candy garland came from Dollar Tree years ago. Pink "tea," sugar plum cakes, chocolate mice and snowflake pizelle cookies. Play the Nutcracker Suite for background music. Display ballet storybooks checked out from the library. 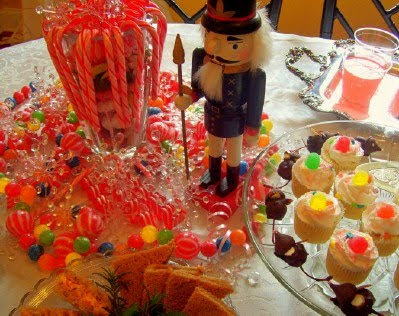 For a more elaborate party, you could paint your own nutcrackers or make these no sew tutus to share. 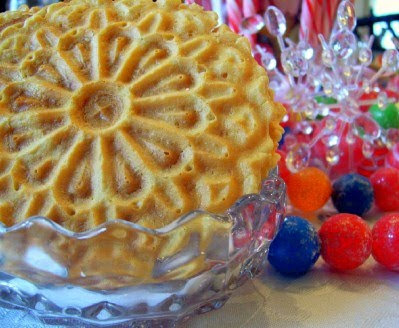 Here's hoping that your December will be filled with equally sweet memories!